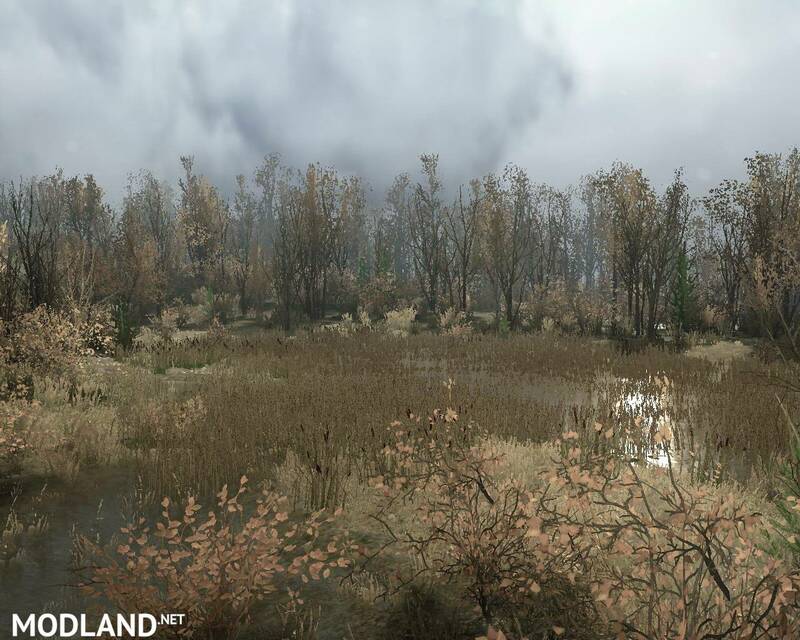 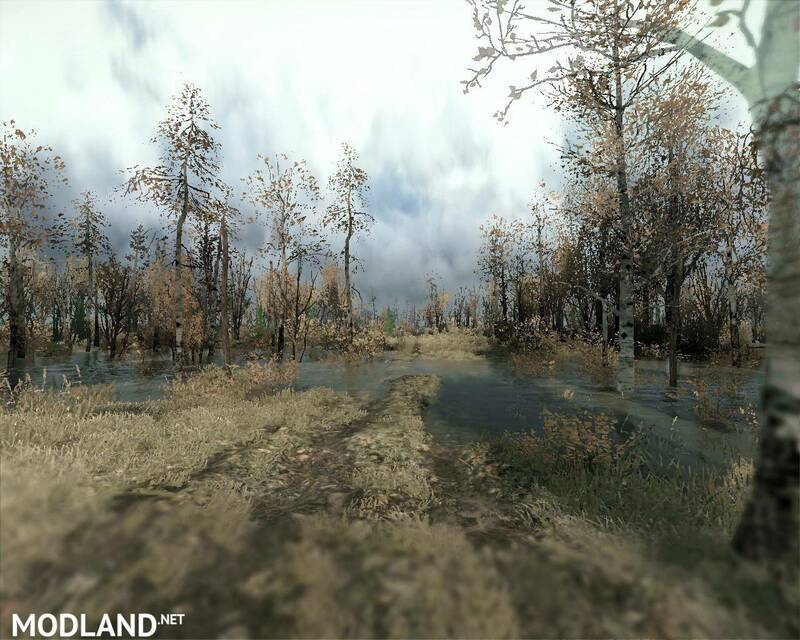 There are additional objects from Spintires. The map is made in two versions with an open garage and closed. 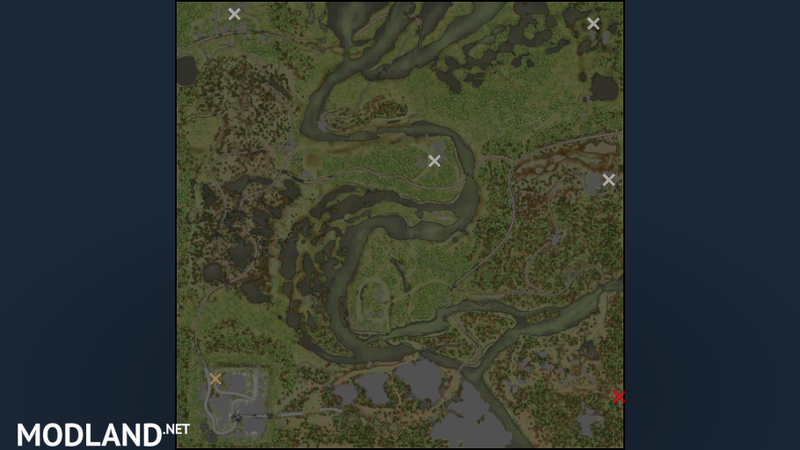 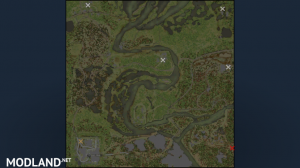 1-Closed garage, 1-fuel station, 2-loading points, 1-log station, 4-lumber mills, 10-wathchpoint, 1-blockpost. 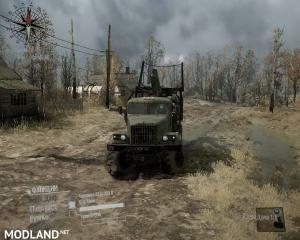 Transport: 4-slots of replaceable cars, Ural-375 with garage parts (needs repair and fuel), Garage van, K700 + trailer utility, Uaz-469, UMZ-6a + trailer utility, Zil-131 with repair parts, Maz-538 manipulator ( requires repair and fuel), MAZ-535 is registered for the entourage, but you can play (requires repair and fuel). 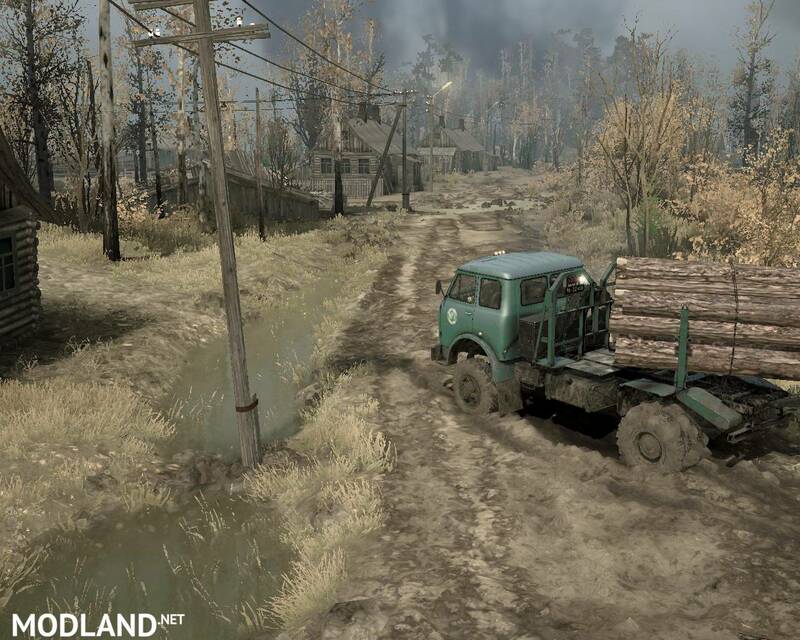 1-open garage, 1- fuel station, 2-loading points, 1- log station, 4- lumber mills, 10-wathchpoint, 1-blockpost. 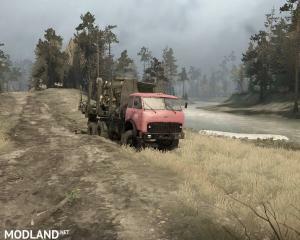 Transportation: 4-slots of replaceable cars, K700 loader (needs repair and fuel), Maz-538 manipulator, UMZ-6a + trailer utility, Zil-131 with repair parts, Uaz-469, trailer utility, fuel trailer, Maz-535 is registered for the entourage, but you can play (requires repair and fuel), 1 random car.